We collect additional information regarding users’ activities on the website or via the Services, including your internet protocol ("IP") address, information about your web browser software and version, if you arrived at our website through a link from a third-party website, the uniform resource locater ("URL") of the linking page, your mobile device identifier and other information about devices you use to access our website or the Services, and information about your activity while visiting our website or using the Services, such as which pages you choose to view, queries you make using our "search" function, and other information about your account usage. We may collect personal information about you in several ways, including when you provide it to us voluntarily. For example, we may collect personal information when you create an account or purchase online, contact us with questions, provide feedback regarding our products, or answer questions about your product interests. You do not have to provide your personal information to us, but if you decide not to do so, you may limit the features that you are able to access through the Services. We collect personal information when you voluntarily provide such information through the website or other communications. For example, we receive personal information when you visit our website, create an online user account, submit a membership application, subscribe to receive our communications, register for events, submit various online forms, and contact us via telephone, mail, or email. Like many companies, we and our third party partners, such as advertising partners, marketing partners, and service providers, use certain technologies, such as cookies, beacons, tags, and scripts. These technologies are used in analyzing trends, administering our website, tracking users’ movements around our website and to gather demographic information about our user base as a whole. We may receive reports based on the use of these technologies by these companies on an individual, as well as aggregated basis. You may be able to disable cookies by changing a setting in your web browser. Please note, however, that without cookies you may not be able to take full advantage of all the Services' features. We use Local Storage Objects (LSOs), such as HTML5 to store content information and preferences. Various browsers may offer their own management tools for removing HTML5 LSOs. California law requires that we disclose whether or not we recognize and honor user browsers signals to not be tracked. If you wish not to have this information used for the purpose of serving you targeted ads, you may opt-out by clicking here. Customers from the European Union may alter their advertising preferences here. Please note that this does not opt you out of being served advertising. You will continue to receive generic ads. Contact Us. We may use personal information about you to respond to your questions and comments when you communicate with us through links or pages provided by the Services, such as the "Contact Us" feature. We may use information we collect from you to process and respond to your requests, comments, inquiries, and other forms you submit through the Services. We obtain your consent before using your personal information for these purposes. Shopping. If you purchase products through our website, we will use personal information about you to process your purchase, confirm your order, and deliver the items to you. Feedback. We may use information you provide to us regarding our products and services to provide product feedback to our customers through the Services. Improving our Services. We use your information to enhance our understanding of our users’ preferences and improve our Services and website accordingly. We obtain your consent before using your personal information for these purposes. Protection of Individual's Vital Interests. In emergency situations, we will use or share your information when doing so is necessary to protect an interest that is essential for an individual’s life. Other Legitimate Interests. We will use and disclose your information when necessary for Vitamin World’s legitimate interests, as long as such interests are not overridden by our users’ interests, rights, and freedoms with respect to their personal information. Service Providers. We may share your personal information with service providers that perform certain functions or services on our behalf (such as to host websites, manage databases, perform analyses, send communications for us, process payments on our behalf, ship your orders, provide you with live chat service, or provide certain other components of websites). We do not authorize service providers to use or disclose your personal information except as necessary to perform services on our behalf. We only shared the minimum amount of personal information with these service providers that they need to perform their tasks. We also enter into contracts with these service providers that require them to protect the personal information. Analytics. We may allow third parties to collect your personal information in order to provide us with analytics. For instance, the Services may use analytics tools provided by Google to help us understand how people use the Services. You can learn more about how Google collects and uses information as a part of its tools at http://www.google.com/analytics/. Marketing Partners. We may share your personal information with select marketing partners that we believe would be of interest to you. If you do not want us to share your personal information with these partners, contact us at privacy@vitaminworld.com. Transactions. We may share personal information in connection with a corporate transaction, such as a sale, assignment, divestiture, merger, bankruptcy, consolidation, reorganization, liquidation, or other transfer of the business or its assets. The purchaser or prospective purchaser that receives personal information from us in connection with a corporate transaction will be obligated to use and disclose the information solely for purposes related to the transaction, to protect the information with appropriate security safeguards, and to return the information or destroy it within a reasonable time if the transaction does not proceed. We will notify you via email and/or a prominent notice on our website of any change in ownership or uses of your personal information, as well as any choices you may have regarding your personal information. You can subscribe to receive marketing offers or solicitations from us through email by clicking here. Please note that these requests may take up to 10 days to be effective. 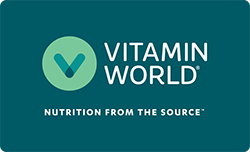 If you prefer to not receive marketing emails from us, please click here or contact us at privacy@vitaminworld.com. Please note that your request to not receive marketing emails from us will not apply to messages that you request or that are not commercial in nature. For example, we may contact you concerning any purchases you have made with us, even if you opt out of receiving marketing messages. If you have established a user account in connection with one of the Services, you may be able to review and request changes to some information that the company maintains about you through your account settings or by contacting us at privacy@vitaminworld.com. We will respond to your request for access within 30 days. We will retain your personal information for as long as your account is active or as needed to provide you the Services. If you wish to cancel your account or request that we no longer use your personal information to provide you the Services, contact us at privacy@vitaminworld.com. We will retain and use your personal information as necessary to comply with our legal obligations, resolve disputes, and enforce our agreements. At any time, you may withdraw your consent to Vitamin World using, disclosing, or otherwise processing your personal information. You may withdraw your consent by contacting Vitamin World as provided below or, if applicable, following the instructions in our communication to you. Please note that your withdrawal of consent to process certain personal information about you (1) may limit our ability to deliver the Services to you, (2) does not affect the lawfulness of our processing activities based on your consent before its withdrawal; and (3) may not result in immediate modification, updating, or deletion of any personal information that may reside in back-up or disaster-recovery storage. You may be able to share certain content from the Services with others by asking us to forward the content. To share information, we ask for the recipient's and your name and email addresses. We will automatically send your friend a one-time email inviting him or her to visit our website. We store this information for the sole purpose of sending this one-time email and tracking the success of our referral program. We collect personal information in this way; we will use it to fulfill your request and for no other purpose. Your friend may contact us at privacy@vitaminworld.com to request that we remove this information from our database. The Services include customer reviews. You should be aware that any information you provide in this area may be read, collected, and used by others who access them. To request removal of your personal information from our customer reviews, contact us at privacy@vitaminworld.com. In some cases, we may not be able to remove your personal information, in which case we will let you know if we are unable to do so and why. The Services may provide links to websites operated by third parties for your convenience and information. All of these websites and applications operate independently from us, and we do not control their privacy practices. Vitamin World does not endorse or make any representations or warranties concerning, and will not in any way be liable for, any informational content, products, services, software, or other materials available on an external website, even if one or more pages of the external website are framed within a page of this Service. Vitamin World is not responsible for the privacy practices of any external website. We encourage you to review the privacy policies of any third-party websites and applications that you use to better understand their privacy practices. We maintain reasonable security procedures to help protect against loss, misuse, or unauthorized access, disclosure, alteration, or destruction of the personal information you provide through the Services. Unfortunately, no data transmission over the internet or stored on a server can be guaranteed to be 100% secure. As a result, while we strive to protect your personal information and privacy, we cannot guarantee or warrant the security of any information you disclose or transmit to us online and cannot be responsible for the theft, destruction, or inadvertent disclosure of your personal information. If you prefer to not transmit your credit card number over the internet, you can contact us using the toll-free number listed on the website from which you want to order. If you have any questions regarding security, you can contact us at privacy@vitaminworld.com. We will notify you in the event we become aware of a security breach involving your personally identifiable information (as defined by the applicable state and federal laws) stored by or for us. By disclosing your email address or mobile telephone number to us for any reason, you expressly consent to receive electronic notice from us in the event of such a security breach. Our Services are not directed to and not intended for persons under the age of 13. We do not knowingly collect personal information from children under 13. If a parent or guardian becomes aware that his or her child has provided us with personal information without their consent, he or she should contact us via the contact details listed below. If we become aware that a child under 13 has provided us with personal information, we will delete such information from our files. Vitamin World has appointed a Data Protection Officer to oversee our GDPR compliance efforts. You may reach the Data Protection Officer at privacy@vitaminworld.com.